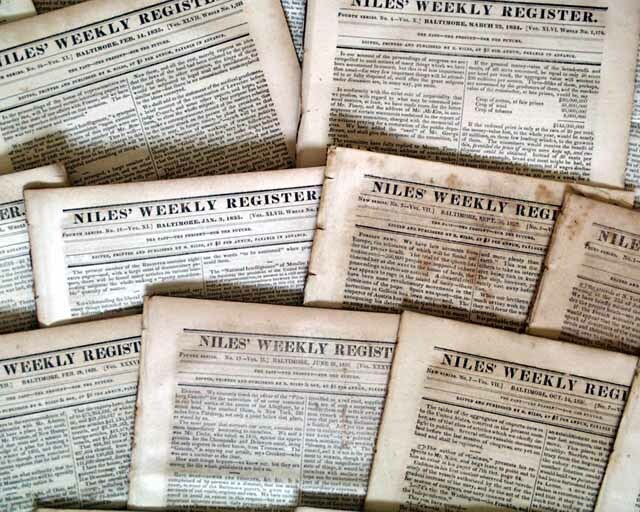 Niles Register was a very famous, small-size newspaper which excellent political reporting--not surprising given its proximity to Washington, D.C.--in addition to carrying a wealth of news events from across the country. 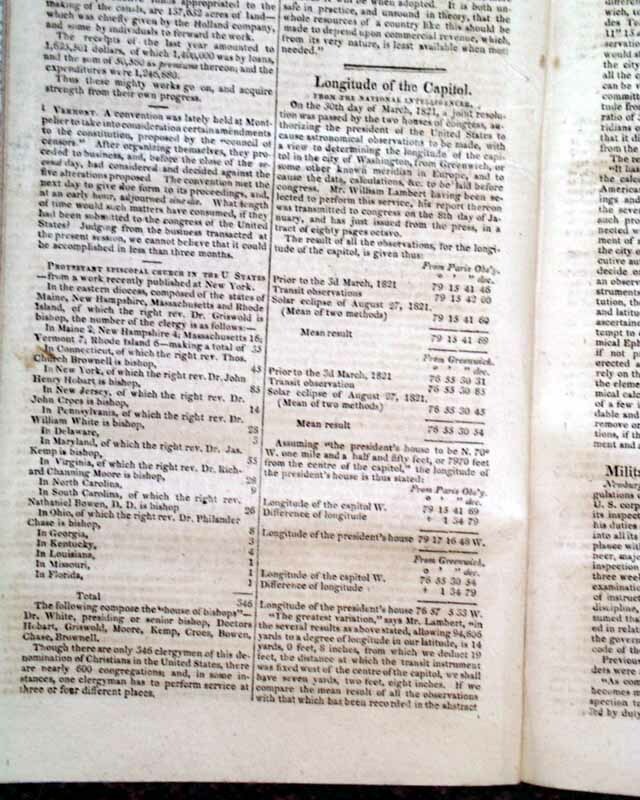 It published from 1811 thru 1850. A nice mixture of dates from these two decades, when exploration was just beginning in the vast lands of America west of the Allegheny Mountains. 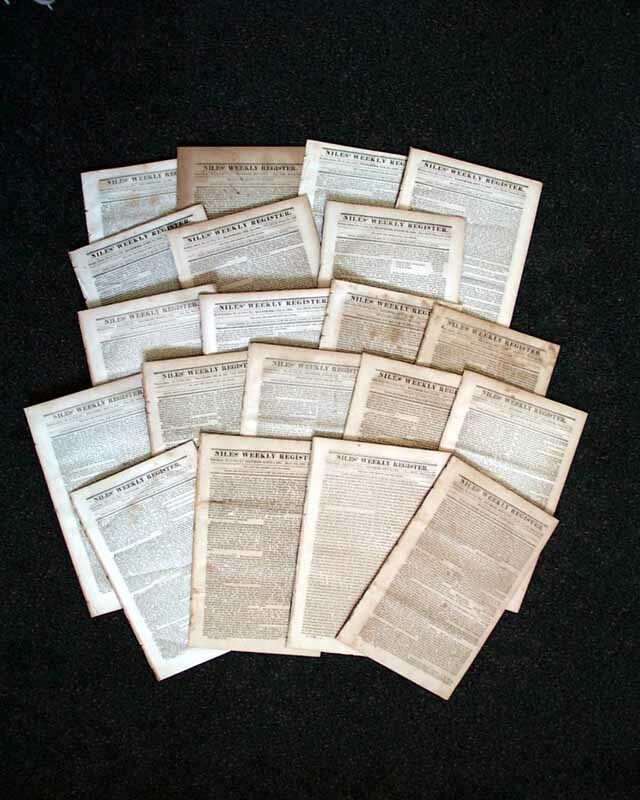 The issues measure approximately 6 1/4 by 9 1/2 inches, have various foxing (brown spotting due to age) as is typical, otherwise in nice condition. 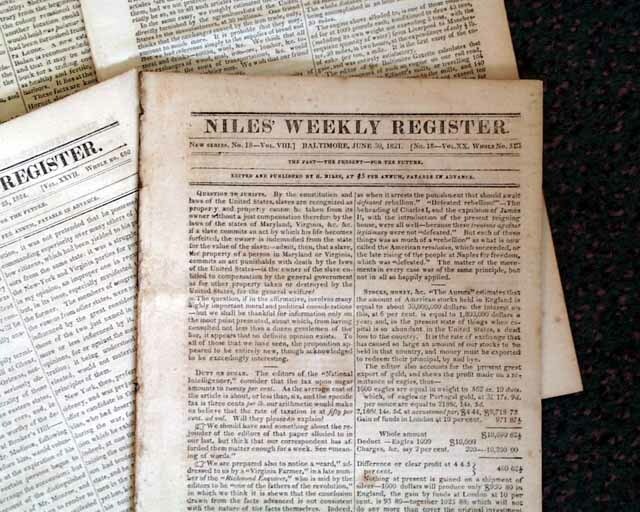 The issues shown are representative of the look and condition of first rate issues for this title. 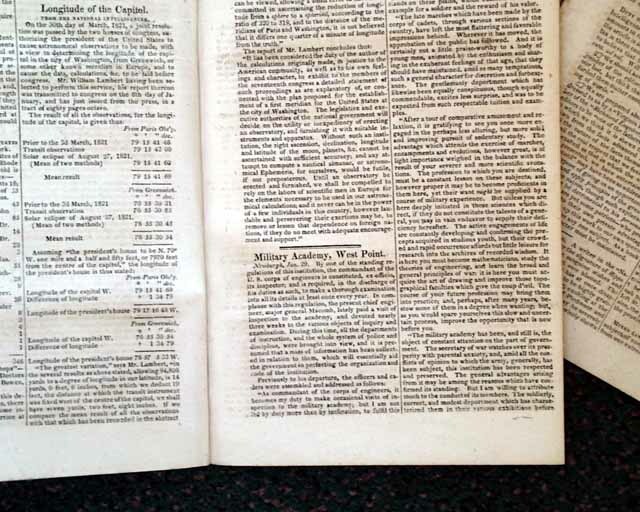 Those you will receive will have increased foxing, staining, close-trimming, etc., than what is shown, but no loss. Note: If ordering storage, we recommend a minimum of 5 folders for this lot.